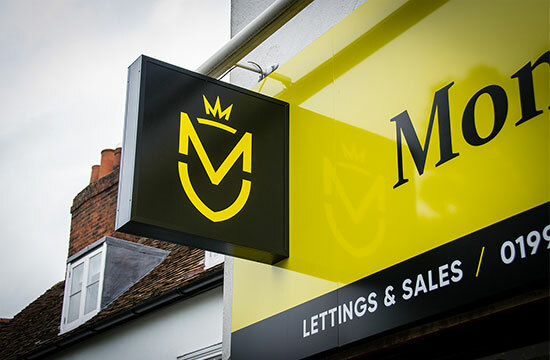 Recognised for our superior professional service and intimate local knowledge, Montagues are an independent estate agency that have been serving Epping, Ongar and the surrounding villages for over 20 years. We built our name within the letting industry and have quickly progressed to become one of the leaders within the local sales industry. With highly trained and dedicated teams, each department enjoys the same level of attention, ensuring that our clients continually return to sell, let, buy and rent through us. We have invested in the latest computer systems to ensure efficiency and we pride ourselves on our innovative approach to marketing with our renowned catchy yellow branding and comprehensive advertising across all forms of media. We offer a personal service of the highest standard and have built our reputation on our honest approach to the property industry. Our testimonials speak for themselves and we invite all clients to share their feedback on our public Google+ page. Whether you are selling, letting, buying or renting, make Montagues your first choice. What separates Montagues from other estate agents? From the moment you make first contact, you will feel the difference; Fully trained, knowledgeable and personal staff will be happy to explain any aspect of property sales or lettings to you. The latest computer systems ensure absolute efficiency and our marketing is unlike any other agents in the locality. We have dedicated teams to ensure that any queries are dealt with quickly - In this industry speed is everything. We have built our reputation and continue our success through recommendations and we want it to stay that way. We assure you of an honest, professional and personal service. All our properties are advertised on Rightmove, OnTheMarket, montaguesproperty and more. Yes, we advertise in every issue of the Property Mart magazine, amongst many other publications such as Essex Central, West Essex Life, North Weald Village Magazine and many more. Your property will also be advertised in our shop window display and through publication of particulars that show your home in its best light. Are there any charges to advertise my property? No - We pay for a professional photographer to attend and produce a floorplan and EPC as a thank you for instructing us. Marketing your property to its full potential is essential. Our fee is only due once we have successfully sold or let your property. Yes - We feel that this is important to ensure that we maximise our chances of a successful viewing. We are happy to accompany weekend and evening viewings too. We charge a one off finder’s fee the equivalent of one weeks rent + VAT then a further 10% + VAT per calendar month. We charge a one off finder’s fee of two and a half weeks rent equivalent + VAT. Our standard sole agency commission is 1% of the sale price + VAT. We are confident in our ability to sell or let your home. We will not tie you into a sole agency agreement of any more than six weeks. Can we recommend solicitors or financial advisors? Yes - Please speak to a member of our team.